Understanding the Book of Joel - Teach All Nations inc. 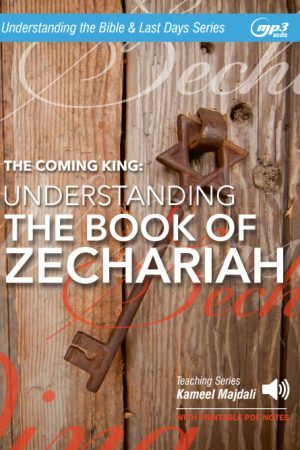 In this series, you will learn about a vital component of the the last days, namely, the Day of the Lord. No book covers this topic more thoroughly than Joel. In this in-depth series, you will receive unprecedented insight into this vital topic. Few people realize how important and wonderful Bible prophecy can be. Its invaluable benefits include insight into the character of God, a preview into the future, an alarm clock to wake up the sleepers and sober up the drunkards. It provides an incentive for holy living and evangelism. The Apostle Peter says that it is the brightest light on this planet until Jesus Christ, the Light of the World, comes again (II Peter 1:19). Above all, Bible prophecy is a much-needed ‘early warning service.’ Early warnings save lives and souls. In this series, you will learn about a vital component of the the last days, namely, the Day of the Lord. No book covers this topic more thoroughly than Joel. In this in-depth series, you will receive unprecedented insight into this vital topic. The glorious future God has prepared for His redeemed. The Day of the LORD gives you thorough verse-by-verse coverage of all three chapters and 73 verses of the Book of Joel. Combine the audio MP3 teaching with approximately 65 pages of printable PDF notes, you will have greater insight about this important and transitional period of human history.